I’d imagine you remember the picture last week of the HTC One follow-up that showed an awkwardly questionable interesting dual-camera setup? 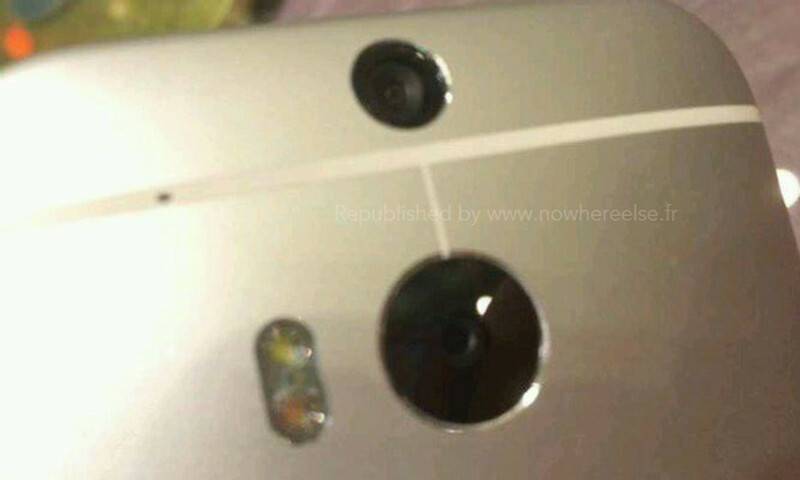 Well, we have new images of the HTC M8 with blurry-cam close-ups of those same cameras, the frontside of the phone, and the on-screen buttons. It looks a whole heck of a lot like the original One, so hopefully HTC has something magical in store to make this a bigger success. First, if you take a look at the image above, you can clearly see that the secondary hole at the top of the device is indeed a camera. Why on Earth HTC thought putting a second camera would be innovative, I have no idea. I really hope they aren’t trying to bring 3D back. I also hope if they are doing some sort of dual-shot, HDR-like image processing, that the phone is powerful enough to handle it without there being a major delay between shots. Next, we have another look at the on-screen navigation buttons that @evleaks showed us last week. You can see them turning as the phone is taken from landscape to portrait. Outside of that news, we can see a black bar that hosts an “HTC” logo. That worries me a bit if you are thinking about the massive bezel situation on the original One, something that seems to be in play if the images of the front of the device below are real. Side bezels seem somewhat slimmed, but the top and chin of the device still look massive thanks to black areas and the dual BoomSound speakers. I’m curious to hear your thoughts on this one. It looks a heck of a lot like the One, but with a dual-camera, dual-LED setup on the back. Is that enough from HTC?